ExtractAire™ HVCMS Grease Filters are engineered for use in CKV hoods requiring a filter that is Listed to the UL 1046 Standard. The ExtractAire™ HVCMS Filter design and construction provides the ultimate fire protection and the highest level of grease extraction available in CKV Grease Filters. ExtractAire™ HVCMS Filters can withstand the harshest CKV environments. The HVCMS Filter assembly incorporates Streivor’s sustainable, organic, replacable, and biogradable Absorb Filters. 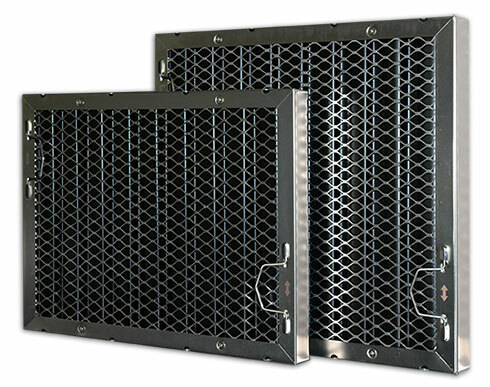 ExtractAire™ HVC Filters are engineered for use in CKV hoods requiring a filter that is Listed to the UL 1046 Standard. The ExtractAire™ HVC Filter design and construction provides the ultimate fire protection and grease extraction for heavy duty CKV environments. 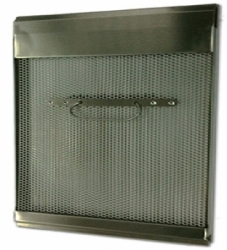 ExtractAire™ Baffle Filters are engineered for use in Commercial Kitchen Ventilation hoods requiring a filter that is Listed to the UL 1046 Standard. The ExtractAire™ Baffle Filter design and construction provides reliable fire protection and grease extraction for lighter duty CKV environments. FLSA’s “U” shaped baffles with PTFE coating cause the grease to drain off the filter quickly. The non-stick PTFE coating facilitates cleaning. 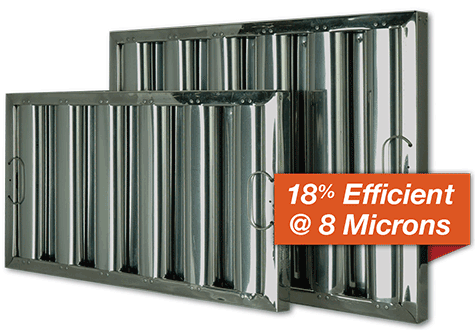 Type I filters are easily cleaned in a pot sink or commercial dishwasher. FLSA Type I grease filters with the Spark Arrestor screen to prevent airborne sparks and embers generated by solid fuel cooking from entering into the hood and duct system. Type I filters with Spark Arrestor meet criteria set by NFPA #96 for cooking with solid fuel. 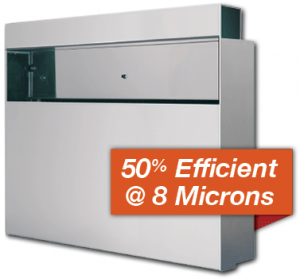 The ExtractAire™ Absorb™ filters can capture grease particles as small as .05 microns and can achieve 100% capture and containment of grease particles 8 microns and larger. 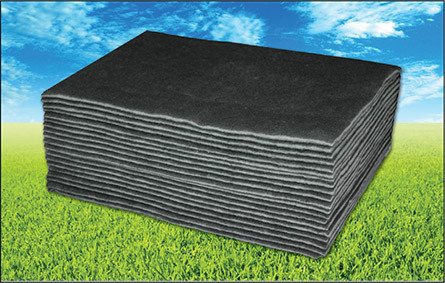 The organic Absorb Filter is easily removable, biodegradable, and landfill safe. 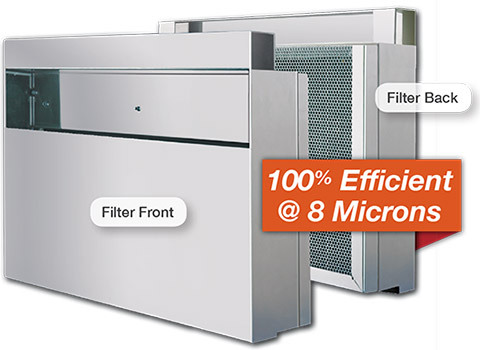 The ExtractAire™ MSPR, NSF approved, Multi-Stage Filter is designed to be placed before a UL1046 Listed Commercial Kitchen Ventilation (CKV) grease filters. The MSPR Filter is constructed of stainless steel and perforated stainless steel that houses the ExtractAire™ Absorb Filter. The ExtractAire™ MSFL, NSF approved, Multi-Stage Filter is designed to be used in conjunction with a UL1046 Listed Commercial Kitchen Ventilation (CKV) baffle grease filters. 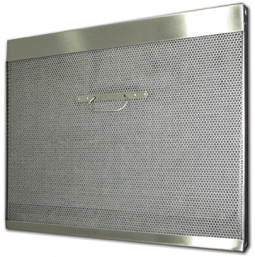 The MSFL Filter is constructed of stainless steel and perforated stainless steel that houses the ExtractAire™ Absorb™ Filter and attaches to a baffle filter.